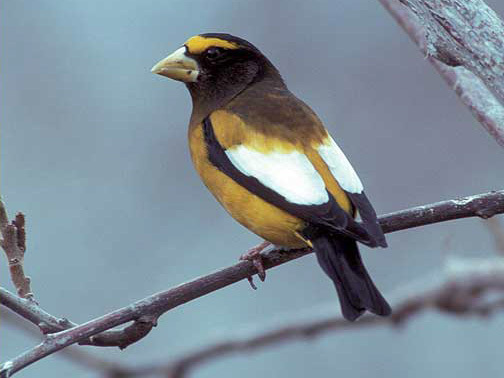 Evening grosbeaks are an uncommon year-round resident often seen in loose flocks. In addition to coniferous forests, they may be seen in residential areas in years when seed crops are scarce at higher elevations. Dave Menke, City of Klamath Falls, Klamath Co., Or.